Lecturer: Randy Woodley, PhD, Distinguished Professor of Faith and Culture, Director of Intercultural and Indigenous Studies, Portland Seminary, George Fox University. Location: Sheldon L. Fountain Learning Commons, Acadia University, Wolfville, NS, or live stream. 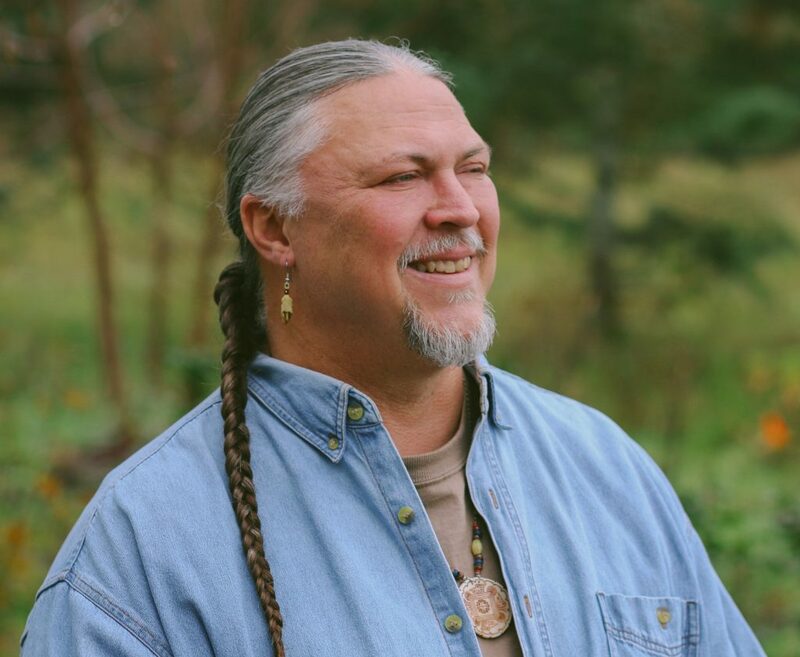 Randy is a Keetoowah Cherokee (legal descendent) teacher, poet, activist, former pastor, missiologist and historian. Woodley received his baccalaureate degree from Rockmont College in Denver, Colorado. He was ordained to the ministry through the American Baptist Churches in the USA in Oklahoma after graduating with a Masters of Divinity degree from Eastern Seminary (now Palmer Seminary), Philadelphia, Pennsylvania. Randy’s PhD is in Intercultural Studies from Asbury Seminary, Wilmore, Kentucky. Woodley’s books include The Harmony Tree: A Story of Healing and Community, 2016 (Friesen Press), Shalom and the Community of Creation: An Indigenous Vision, 2012 (Eerdmans) and Living in Color: Embracing God’s Passion for Ethnic Diversity, 2004 (IVP). He has authored numerous book chapters, contributing essays and articles in compilations such as the Dictionary of Scripture and Ethics (Baker Academic), An Emergent Manifesto of Hope (Baker), The Justice Project (Baker), and The Global Dictionary of Theology (IVP). Professor Woodley is active in the ongoing discussions concerning new church movements, racial and ethnic diversity, peace, social justice, interreligious dialogue and mission. Woodley regularly blogs in these areas and publishes his own blog, ” Ethnic Space and Faith.” He is also a regular contributor to God’s Politics Blog: Jim Wallis and Friends, Emergent Village Voice and The Huffington Post, Religion page. Rev. Woodley was pastor of the Eagle Valley Church in Carson City, Nevada, which for many years served as a unique role model as an authentic Native American Christian church. He and his wife Edith, cofounders of Eagle’s Wings Ministry, are considered early innovators in what has been dubbed the “Native American Contextual Movement.” The Woodleys have spent over 25 years of culturally contextual service in Native North American communities. 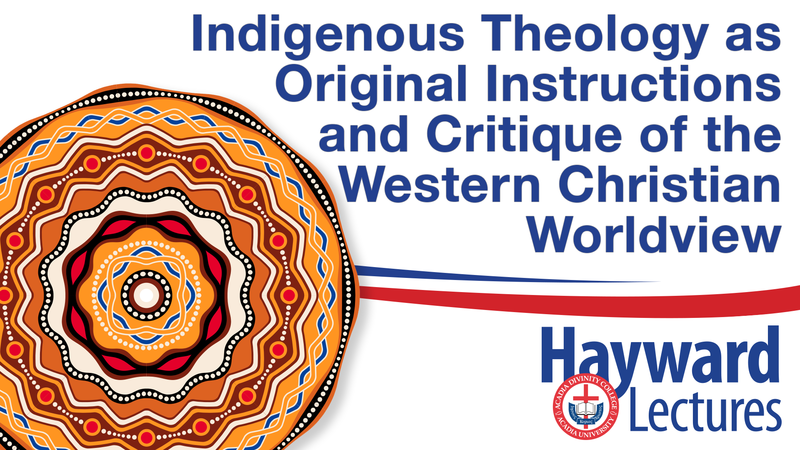 Randy Woodley is a founding board member of NAIITS, the North American Institute for Indigenous Theological Studies and he administers the Fox/ NAIITS cooperative Master of Arts Intercultural Studies degree. The 2019 Hayward Lectures are available worldwide via live streaming. To access the stream please register and indicate you will be joining via live stream. You will automatically receive instructions on how to connect using Zoom (a free video conferencing application) allowing you to view the lectures using most computers or mobile devices. You are also able to submit questions in the live stream during the evening Q&A time.